Will X-Men: Supernova Be the Dark Phoenix Saga We Deserve? Back on January 12th, Comic Book Resources reported that in addition to Deadpool 2 and The New Mutants, it appeared Fox was ready to start pre-production on another X-Men film, this one titled X-Men: Supernova. After a short period of speculation that this might be the “X-Men in space” film that Bryan Singer wanted to do, CBR then reported that the working title of the film was X-Men: Dark Phoenix. Which certainly puts things in a whole other light. The Dark Phoenix Saga has been adapted for the cartoon and, more infamously, for X-Men: The Last Stand, where it was reduced to Jean going evil for no reason, killing Professor X and Cyclops, and then getting stabbed by Wolverine. 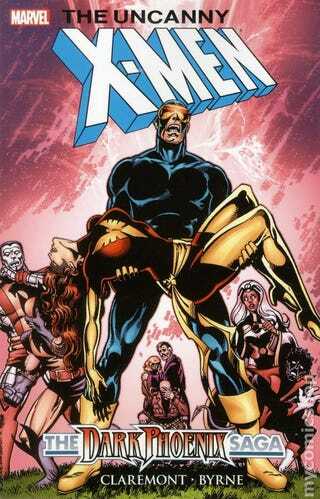 So: if X-Men: Supernova is another adaptation of The Dark Phoenix Saga, do you think it’ll be better than that? After all, the response to X-Men: Apocalypse was pretty much “meh.” And if Singer is directing again, this might turn out to be “meh” again — the last movie Bryan Singer made that I thought was really good was X-Men: Days of Future Past. But then again, in adapting another story (as opposed to simply a villain like Apocalypse), perhaps he can recapture that Days of Future Past magic? Personally, I’d love to see the X-Men encounter the Shi’ar or even adapt the Brood Saga and make that what turns Jean into the Dark Phoenix. But then again, I really liked Sophie Turner as Jean Grey in X-Men: Apocalypse and I would rather she not die. Perhaps we could go with a version of the Dark Phoenix that ends a bit happier?